“I watched Black Panther earlier this year and one of the ways it seemed interesting was that it introduced Afrofuturism as a concept in a mainstream way,” says Ekow Eshun, the writer, critic and curator who runs Instagram account @the.afrofuturist. 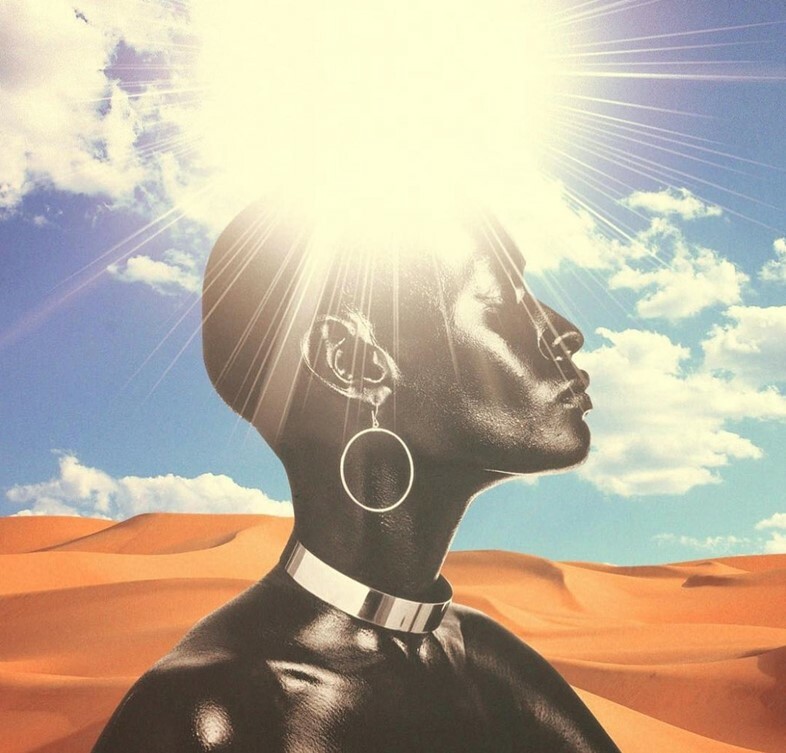 A digital gallery of art, photography, film and music, @the.afrofuturist spotlights work that “reimagine[s] the black experience via science fiction, history and fantasy”. Thanks to the increasing visibility of cultural criticism on black art, the works of musicians like Janelle Monáe, and, of course, the astronomical success of Black Panther, Afrofuturism is currently firmly in the public eye. Eshun’s Instagram account is a timely invitation to “explore race, space and all the points in between”. By posting images of places such as central market in Yaoundé, Cameroon, alongside clips from Sun Ra’s Space is the Place (1974), Eshun presents an expansive definition of Afrofuturism that encompasses African-American work as well as expressions found in Africa and the international diaspora. Eshun also posts recent works by emerging artists, such as the 3D computer generated portraits of Janice Prempeh (aka @opalslutuniverse) alongside older and more well-known work inspired by Afrofuturism. @the.afrofuturist is not about collating some kind of definitive Afrofuturist canon. Instead, inspired by the amount of “extraordinarily ambitious” black art – from Monáe’s recent album to video installations by Arthur Jafa and Khalil Joseph – Eshun seeks to gather those artworks together and explore the common threads between them. And there is plenty to gather, Eshun says. “I come across new stuff every day. It’s something to do with the quality of the creative work around right now. But there’s also a lot of imagery and work that for decades hasn’t been recognised as work of real imagination. So it doesn’t feel like I’ve got close to an end, or that I will for a long time.” The indefinite nature of the project mirrors what Eshun feels to be the main tenet of Afrofuturism: the future is open.